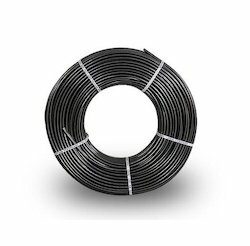 Pioneers in the industry, we offer upvc agri fittings, upvc pressure pipe, rigid pvc pipes, compression fittings, hdpe pipes and ring fit pipe from India. We are counted amongst the recognized organization offering of premium quality UPVC Agri Fittings. 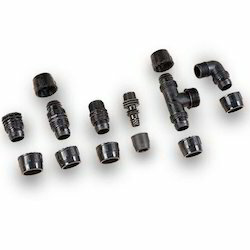 These fittings are used in a variety of domestic, industrial and commercial constructions. The offered fittings are used and installed drainage, sewerage, and water supply. 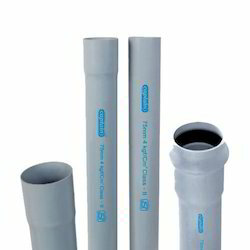 UPVC Pressure Pipe is used as a water carrier for Agriculture as well as drinking water. Due to our proficiency in this realm, we are betrothed in presenting a supreme quality assortment of Rigid PVC Pipe to our client. Mostly used as a water carrier in agriculture as well as for drinking water. 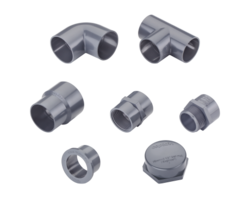 Captain Polyplast ltd. is one of the largest manufacturers of PE pipes in India has a wide range of Compression Fittings with all varieties. 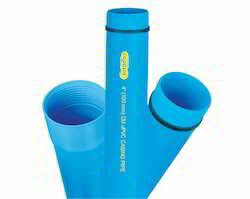 These fittings are very easy to make the flexible joint of HDPE pipe and Lateral. These fittings are being tested at 2.0 times higher than rated hydraulic pressure and also aged in 70 Degree C for 168 hrs. No fusion welding, no mirror, no electricity, No skilled labour required. Body, cover and thurst ring in pure polypropylene in master batched and UV - stabilized. Acetalic resin by Dupont EPDM or acrylonitrile food safe rubber seals. 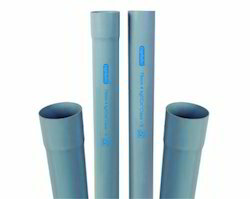 High Density Polythene Pipes used for lowering submersible in the borehole as well as water carrier. We Offer Ring Fit Pipe to our client. Used for water supply for Agriculture and Drinking Water. PVC Pipes comes with an Electrometric Sealing ring which enhances the uPVC system joining especially in higher diameter pipes from 140mm - 400mm OD. 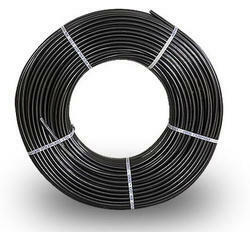 Rubber sealing rings ensures the leak proof joints and easy installation. Can withstand the pressure beyond the specified testing pressure for pipes. UPVC Agriculture Irrigation Pipe is used for Agriculture and drinking water supply. Keeping track with latest market development we are actively engaged in offering UPVC Casing Pipes. 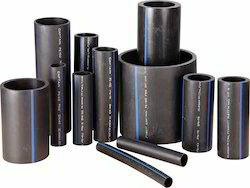 The offered casing pipe is designed utilizing the finest quality basic material and advanced technology, in accordance with set market standards. The offered casing pipe is completely checked on numerous parameters by our quality controllers assuring its flawlessness. 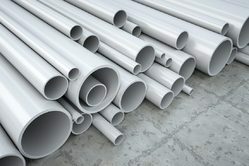 Our offered casing pipe can avail by our customers in various specifications as per their requirement. We are a prestigious company engaged in offering a superior quality of UPVC Pressure Pipe. The offered pressure pipe is manufactured with the top quality basic material and leading technology by our workforce. Along with that, our offered pressure pipe is available in various specifications for our patrons to choose form. Our offered pressure pipe can be avail by our clients at nominal rates. We are the leading supplier and manufacturer of Lateral Coil used for irrigation purpose. LDPE Pipe is used for Irrigation in Agriculture.